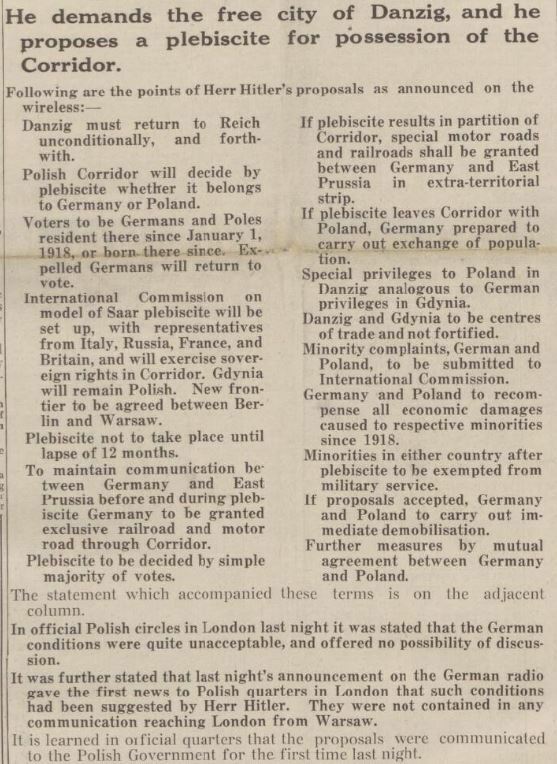 On August 25th, 1939, the United Kingdom and Poland signed an agreement of mutual assistance. 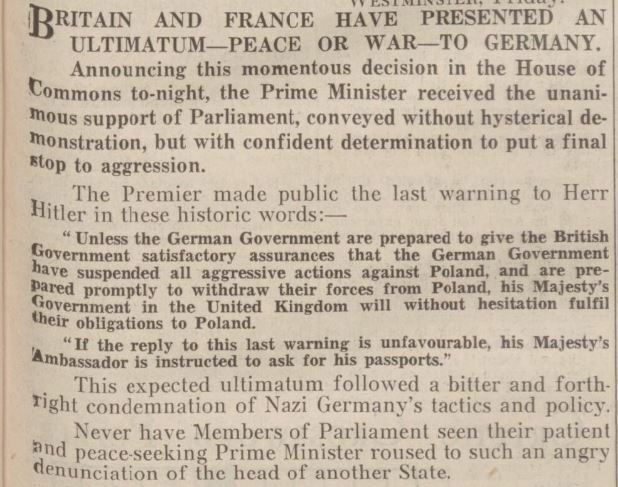 In effect, this meant that the UK – and France, which had a separate agreement with Poland – would come to the defence of the Poles in case of military aggression by a foreign power. A week later on September 1st, the Germans marched into Poland. Hitler's forces marched into Poland under a banner of nationalism, a crusade launched to liberate the Germans living under supposed Polish oppression in the Free City of Danzig and the Polish Corridor, two areas controversially created under the terms of the Treaty of Versailles, 1919. 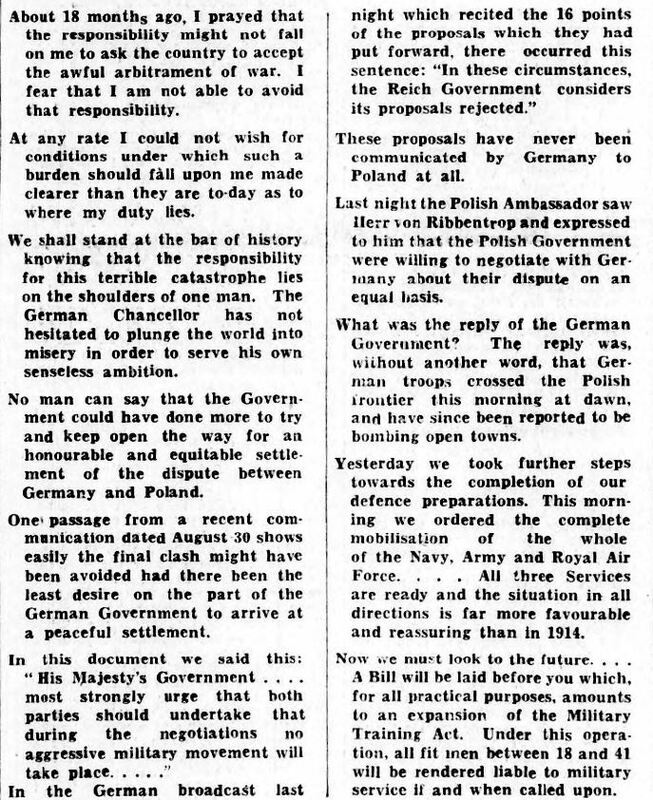 Freeing these subjugated Germans represented the ideal casus belli for Hitler, so much so that in Germany, the invasion of Poland was referred to as the Defensive War, protecting Germany against the military aggression of the Poles. 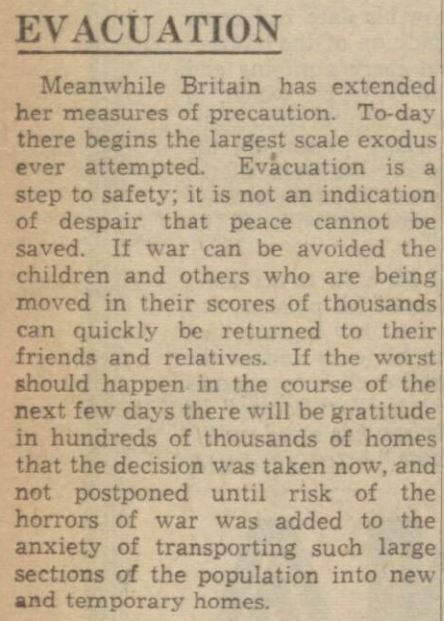 On the Home Front, preparations for war had already begun. 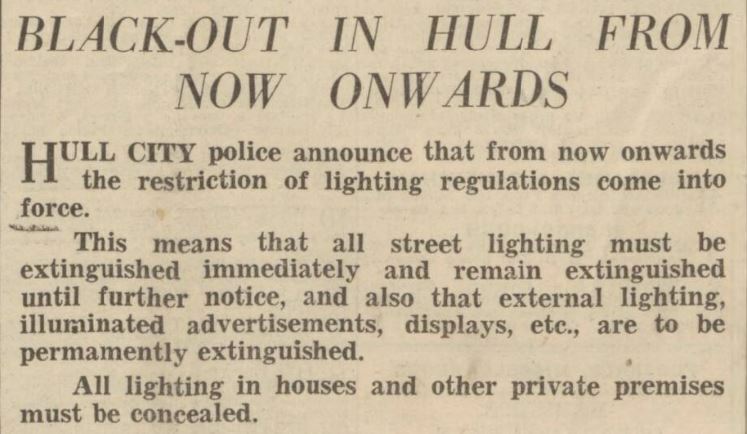 On the 1st of September, Operation Pied Piper – the evacuation of vulnerable civilians from cities – and the blackout both came into effect, both safety measures being implemented prior to any declaration of war between Britain and Germany. The events of the coming days would change the face of modern history. In our next post, we'll be looking at how the actions of September 1st brought the world to war. *To read a first-hand account of the ultimatum being issued, visit the wonderful Eyewitness to History.